Transferring contacts from Excel to Outlook takes place with this application. You can keep all the details; first name, last name, phone number, email address, etc. in Outlook file and the software converts the CSV files too. The software keeps the fields of the contacts in Excel file as it is in Outlook through the mapping feature. You will have to select the fields accordingly and add to the list for saving the contacts in Outlook. If there are empty fields in your Excel files mainly for the email address, the software gives the provision to exclude or to let in those fields after which it export Excel contact to Outlook. Application directly export contacts from Excel to Outlook. For this configuration of MS Outlook is mandatory. Once the Excel sheet is exported, you can straightly view the contacts from Outlook. Does the software convert more than one file at a time? Is the tool compatible with all the versions of Windows? Yes, Excel Contacts to Outlook software is applicable with all the version of Windows no matter which version is installed. Is there any limit for contacts to be stored in Outlook? No, you can store as many contacts as per your requiremnt. There is no limit for the contacts. How will Outlook store the contacts? Each contacts of a person is stored under one tile in the contact folder of Outlook. So, for each person Outlook provide different tiles. Should I install Outlook in the system? Yes, to convert Excel Contacts to Outlook its installation on the conversion machine is mandatory. How the contacts fields get matched with Outlook fields? The software is provided with a mapping feature. 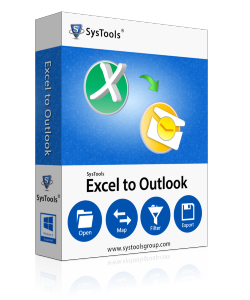 It allows to map the fields in Excel sheet to Outlook fields without any complexity.